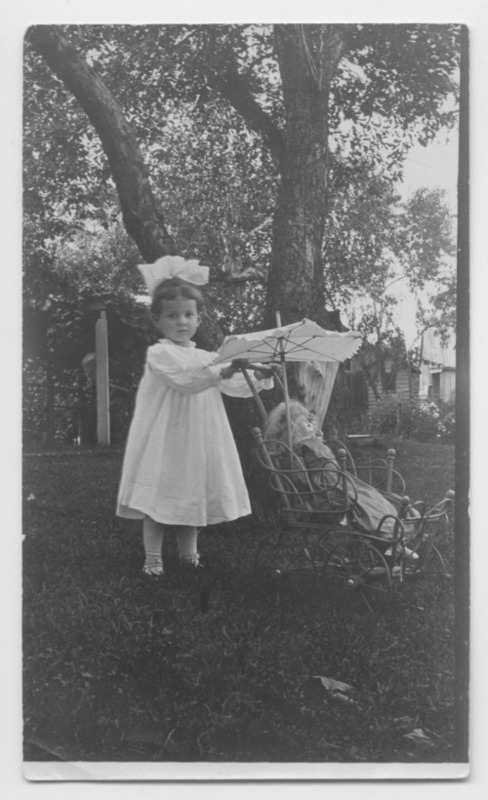 This black and white photograph shows a young girl with a big bow in her hair, informally posing with a doll and doll carriage. There is also a parasol over the doll carriage. The photograph is taken outside in a yard.